Did you know that a donation of just $70 spays one cat and prevents a lifetime of kittens? That’s thousands of lives saved! 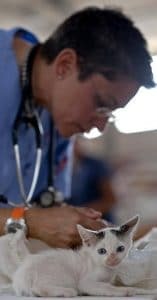 Help us continue to provide high quality affordable spay neuter services and to save lives, one surgery at a time!. Donate and support our clinic today!